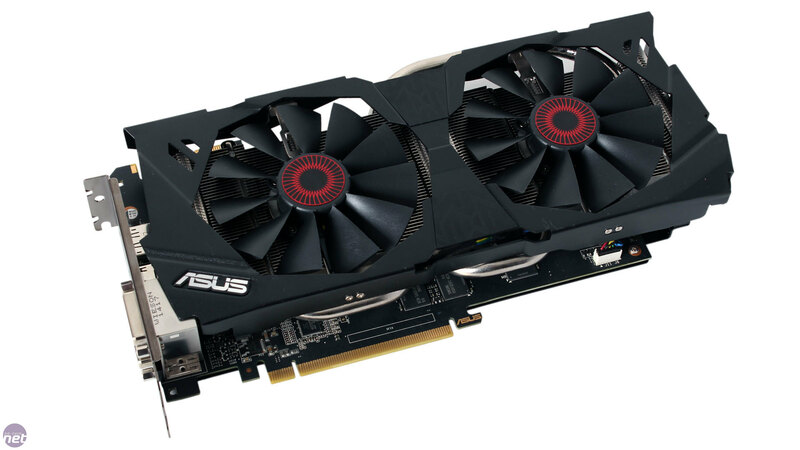 The first card in our round-up is the £300 Strix GTX 970 from ASUS. This puts it at £25 more than the other two, so hopefully it's something special. That said, the box it comes in is relatively empty – there are no adaptors or power cables included. The black metal shroud is complemented by a pair of black fans with red central sections – it's actually designed to look like a pair of owl eyes. The card is also equipped with an attractive brushed metal, full cover backplate for stability, protection and added cooling benefits. It's good to see metal being used in the construction, as the shrouds of the other two are plastic. It's the longest of our three cards at 279mm, and is also the joint tallest. 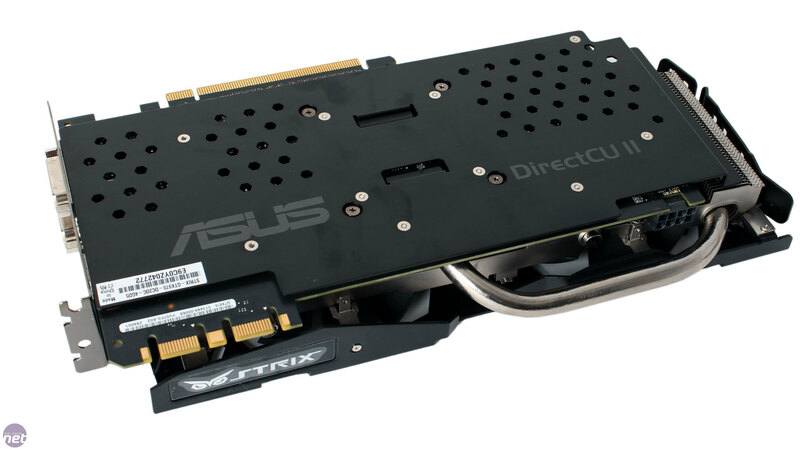 Both it and the MSI card stretch past the edge of the PCI bracket to a height of 140mm, so certain small form factor cases might not be able to house it. The base clock speed comes in at the lowest of all three: 1,114MHz, a 6 percent jump over reference that gives the card a boost clock of 1,253MHz. As with the other two contenders, the memory has been left alone at 7GHz. 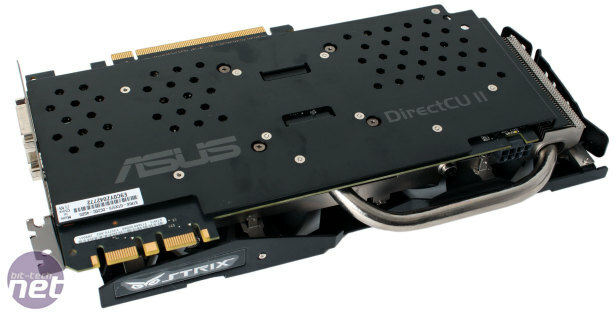 Hopefully the Strix GTX 970 can make up its clock speed deficiency when overclocking. 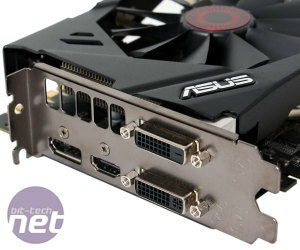 ASUS has opted for the set of connections we're used to seeing in previous generation cards: two dual-link DVI, one HDMI and one DisplayPort. 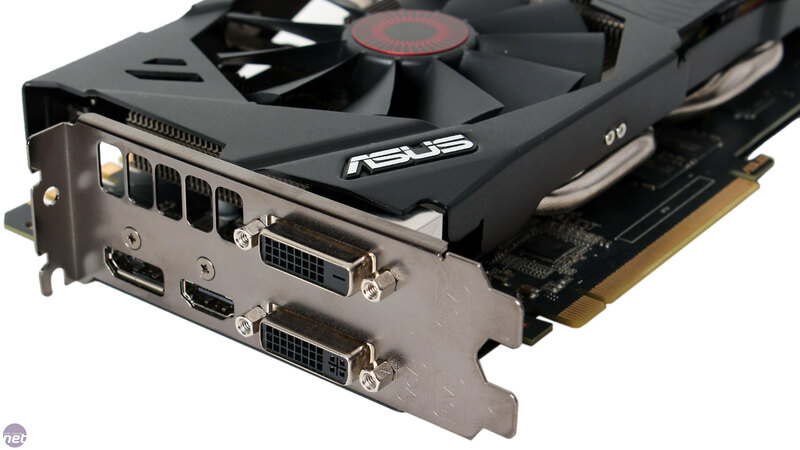 The HDMI port is version 2.0, however, and Asus is at no disadvantage here as the MSI and EVGA cards use this same configuration too. 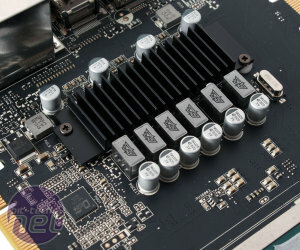 ASUS has also trimmed the standard 2 x 6-pin PCI-E power connections down to a single 8-pin one, which has an LED to tell you when your cable is correctly connected and working. 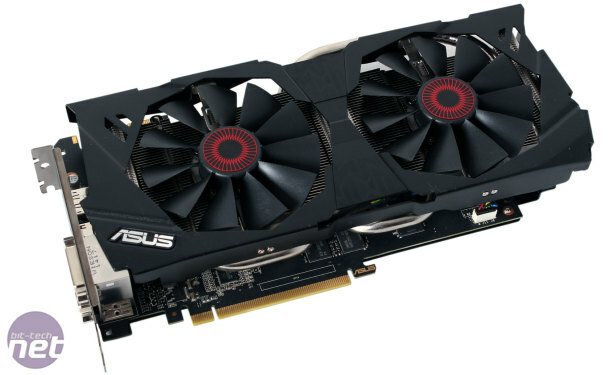 This design makes cable management easier, but there's a chance it could negatively impact the card's overclocking potential. 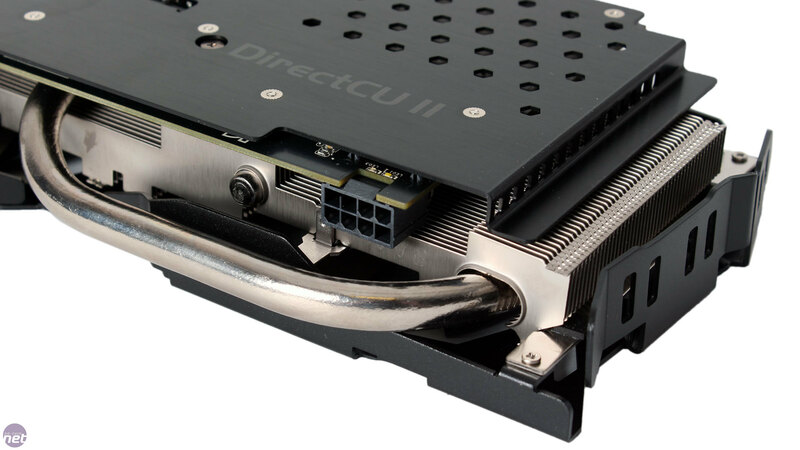 Employed to keep things cool is the DirectCU II system, featuring three U-shaped, nickel-plated copper heat pipes, one of which is a larger 10mm model. 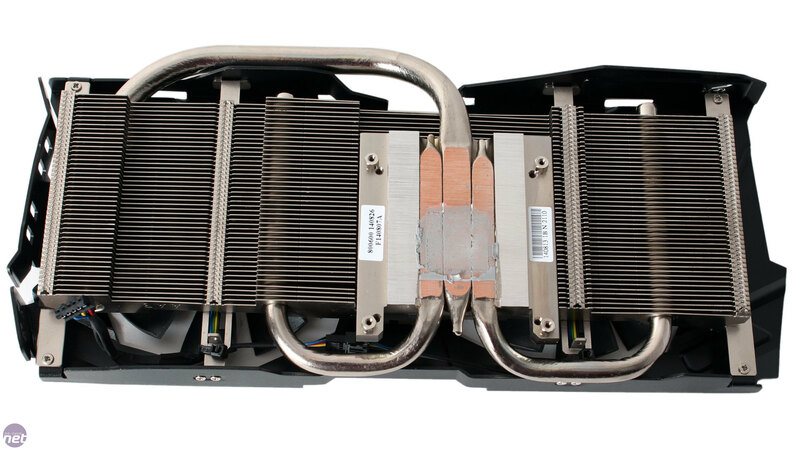 The full width of all three heat pipes make direct contact with the GPU for maximum heat transfer. 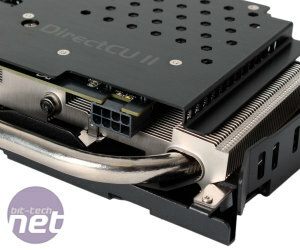 Two 92mm downdraft fans operate on top of the heatsink. As the card's shroud does not keep things sealed, most of the resultant hot air will be exhausted into your chassis, so be sure of adequate ventilation. Like the MSI card, the two fans also have the ability to operate semi-passively, and won't spin up until the GPU reaches about 65°C. This is enough of a threshold to enable users to play less demanding games entirely passively. 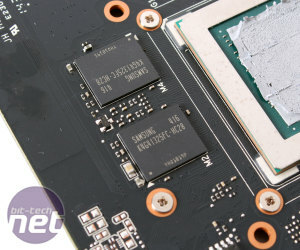 Aside from the obvious noise benefits, this will also increase the lifespan of the card as well as its power efficiency. 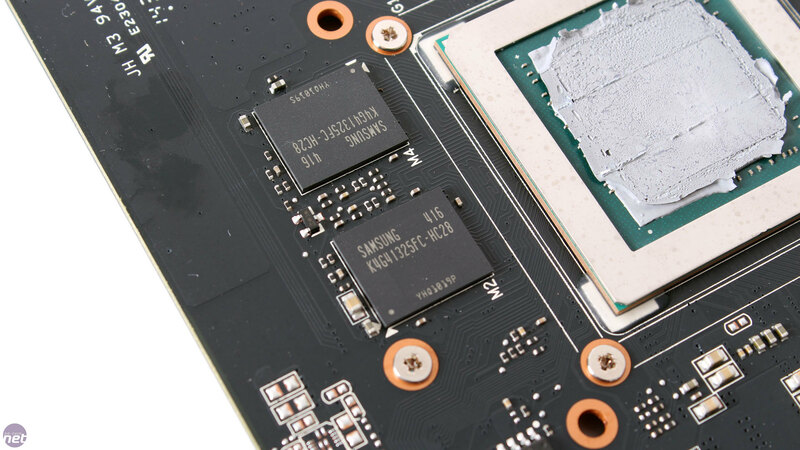 On its custom PCB, ASUS places all eight Samsung memory chips on the front side, meaning that the backplate does not directly cool any of them. In fact, the chips are left without any contact plate or heatsink touching them, relying solely on air from the fans to cool them. 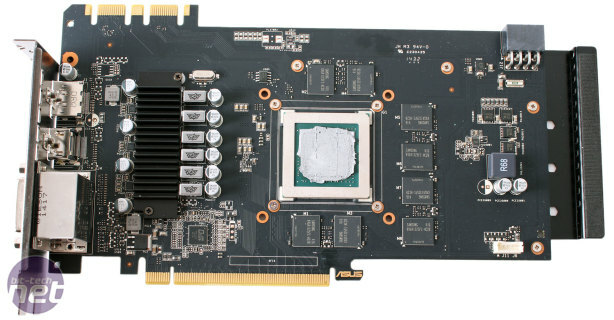 We also find a 6-phase power delivery system for the GPU, a 50 percent upgrade from stock specifications. 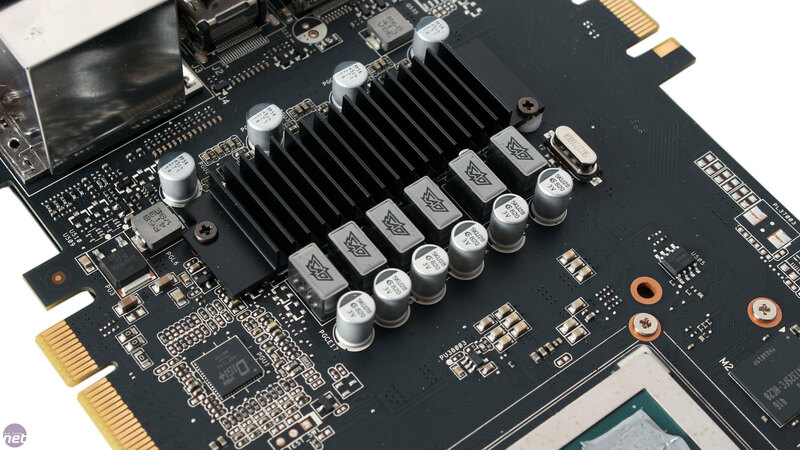 It also uses ASUS's DIGI+ VRM controller for precise, digital voltages, as well as high quality Super Alloy Power components for buzz-free choke operation, longer capacitor lifespan and MOSFETs with a 30 percent higher voltage threshold than standard. Sadly, the memory has not been granted the same treatment. It is fed by a single phase found at the other side of the PCB, and this one does not use any special components. The MOSFETs of the DIGI+ power phases are cooled by a small heatsink, but the VRM controller and the MOSFETs for the memory power phase are left, like the memory chips, to fend for themselves without direct cooling.